Whether you are looking for your next book to read or are looking to find a book for the basketball fan in your life; this list of basketball books is perfect for you. The following list covers our favorite basketball books and our recommendations for you. The books on this list will cover coaching, playing, life in general, and many other topics that apply to the sport of basketball. 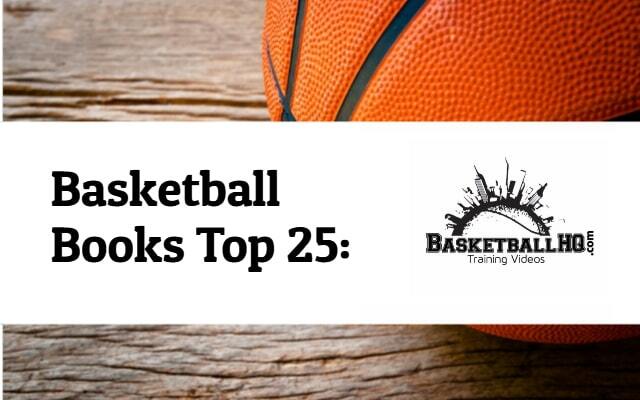 We are confident that you will find what you are looking for in our list of the top 25 basketball books. From one basketball junkie to another, enjoy! Also, if you enjoy listening to books on audio, make sure you check out the Free Audible Trial that Amazon offers. This will allow you to listen to a couple of these basketball books free of charge! About This Basketball Book: Jay Bilas has always been one of the more outspoken college basketball commentators. He has been able to make a name for himself giving good insights into the game of college basketball. Before that though, he was also one of the great college basketball players to play under Coach K at Duke and was a part of two national championship teams. 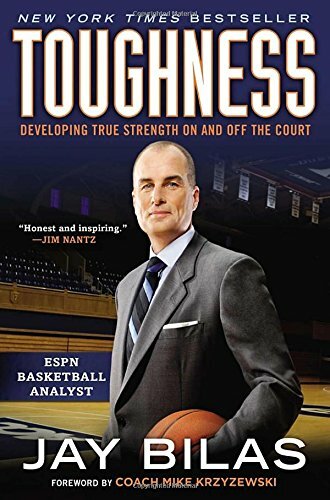 Toughness: Developing True Strength On and Off the Court is going to talk about the toughness that it takes on and off the court to be successful in basketball and life. About This Basketball Book: It is incredible to think that Phil Jackson was able to win 11 NBA championships. For this one fact alone, he is worth listening to when it comes to basketball. 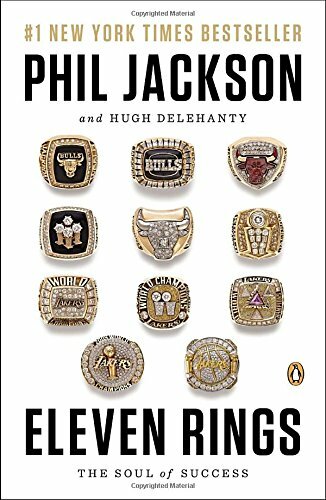 Eleven Rings: The Soul of Success is going to cover what went into Phil's ability to be successful for so long in the NBA as a head coach. It will share stories from his time with some of the best basketball teams ever assembled with the Bulls and Lakers. Along with coaching some of the best teams ever, he also coached legends like Michael Jordan, Scottie Pippen, Kobe Bryant, and Shaquille O'Neal. Insights from Phil Jackson should not be missed. About This Basketball Book: Before Jay Williams became a basketball analyst, he was a promising NBA player who had one of the best college basketball careers of anyone ever to play the game. 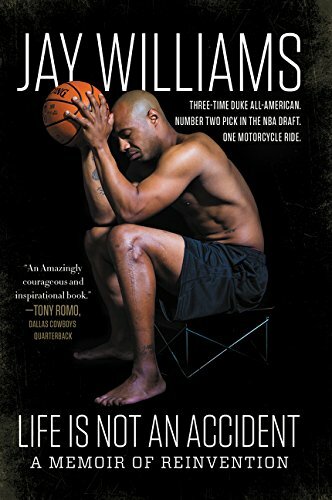 Life is Not an Accident is going to talk about his life after his motorcycle accident and how he reinvented himself and how there is more to life than just basketball. About This Basketball Book: Kentucky has one of the most storied college basketball programs of all time. Getting a look behind the scenes at this success is something that has to appeal to any true basketball fan. 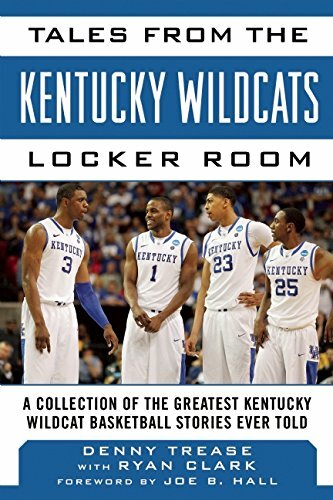 Tales from the Kentucky Wildcats Locker Room includes stories from the players, coaches, and other members of the program that have been a part of this dynasty over the years. Whether you are a Kentucky fan or not, this book is sure to please. 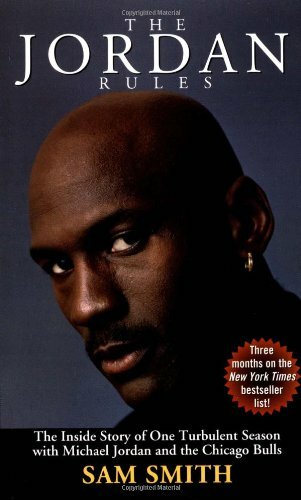 About This Basketball Book: Michael Jordan is widely considered the best basketball player ever to play the game, but there is always more than meets the eye. The Jordan Rules is going to give an inside look at MJ and some of the areas that he dealt with off the court in his first championship season with the Chicago Bulls. See what went into the making of one of the most iconic sports stars ever and get a better understanding and appreciation for what makes MJ who he is. About This Basketball Book: You cannot create a list of the best basketball coaches of all time without including the name Pat Summit. She started coaching at the University of Tennessee when she was 21 and over the next 38 years won over 1,000 games. 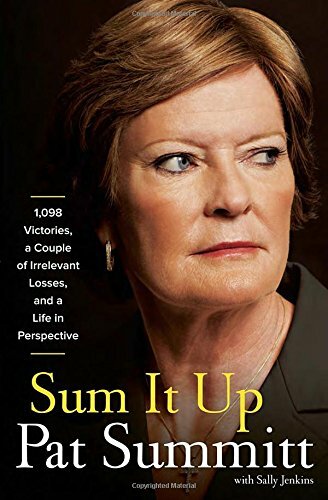 Sum it Up is going to give you the lessons that she learned along her journey as a head coach for the Vols. From tough times to good times in her career, this book is going to cover it all, and in a way that will keep you engaged as you read. 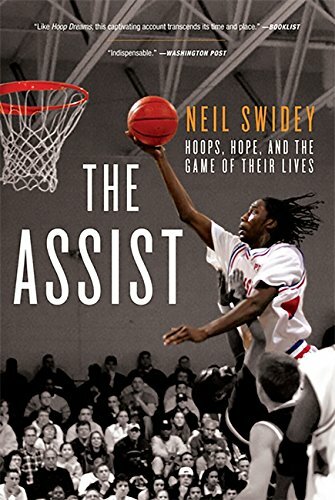 About This Basketball Book: The Assist is going to center around a high school basketball team in the Boston area that competes for a state championship every year while also dealing with; race, social class, and other factors that go into living in the inner city. You will get an in-depth look into what makes sports so great, and the barriers that sports can overcome. 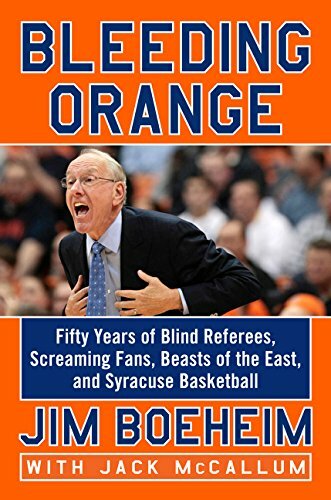 About This Basketball Book: You are not able to talk very long about a 2-3 zone defense without Jim Boeheim or Syracuse University coming up. Coach Boeheim has been a staple of college basketball over the years. Bleeding Orange is going to cover what he has learned in his 50 plus years at Syracuse University. If you enjoy learning from other basketball coaches, this is going to be the book for you. About This Basketball Book: Pistol Pete Maravich was one of the most skilled players ever to play the game of basketball. This book is about more than just his basketball accomplishments though. 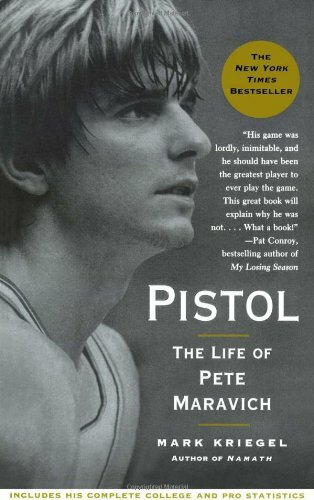 In Pistol: The Life of Pete Maravich author Mark Kriegel discusses what it took for Pistol Pete to accomplish all of his success. He also covers what it cost him and his family along the way. The story of Pistol Pete is an interesting story that any true basketball fan would enjoy reading. About This Basketball Book: You are not able to talk about college basketball coaching greats without bringing up the name John Wooden. At one point he had an 88 game win streak and was a part of winning 10 NCAA championships in 12 years. 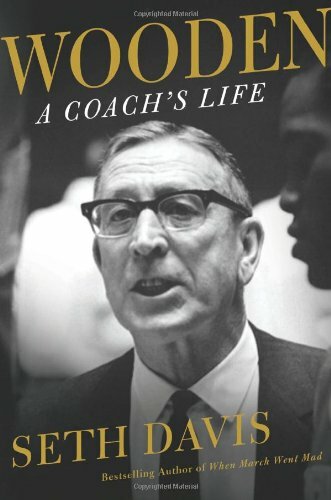 This John Wooden book is expertly written by author Seth Davis and includes stories from over 200 different people that interacted with him over his life. With all of these personal accounts, you will be able to get a look at John Wooden like never before. 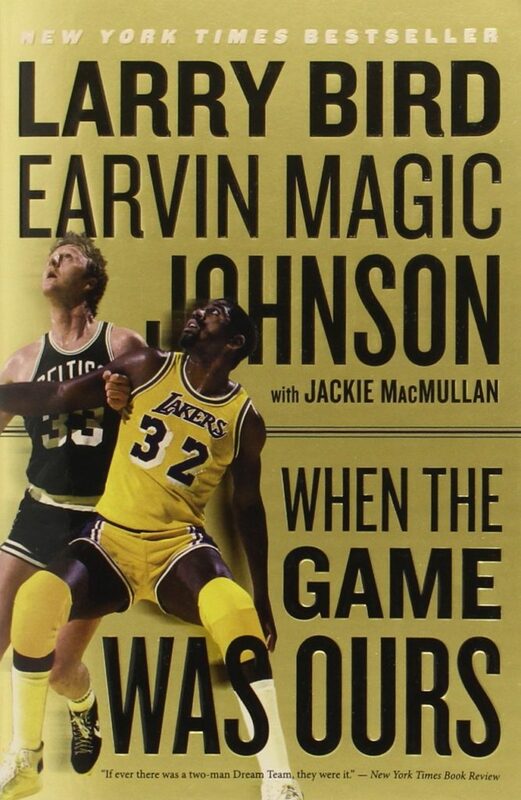 About This Basketball Book: Larry Bird versus Magic Johnson was one of the best player rivalries of any sport. The competitiveness and desire to win that both players brought to the court every time they played reminisces a time when gladiators fought in the Coliseum. What started as a bitter rivalry turned into a lifelong friendship at the end. When the Game Was Ours is going to cover this period in the NBA and what it looked like from both players perspective. About This Basketball Book: Many basketball experts have labeled Bob Hurley as the best high school basketball coaches ever to coach the game. Some of his team's at St. Anthony's are that of legend. This book is going to follow coach Bob Hurley through an entire season with one of his St. Anthony teams. In the book, he looks to lead his team to success while also making sure his players are taken care of outside the lines. 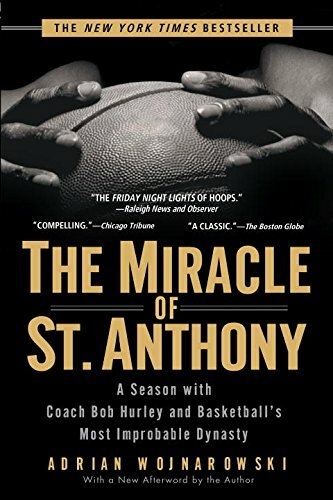 If you enjoy learning and reading about other successful coaches and their teams, The Miracle of St. Anthony needs to be your next read. About This Basketball Book: College basketball continues to turn into a one to two year stop for players that have NBA promise, the turnover rate with new players becoming faster and faster. No one knows this better than John Calipari. 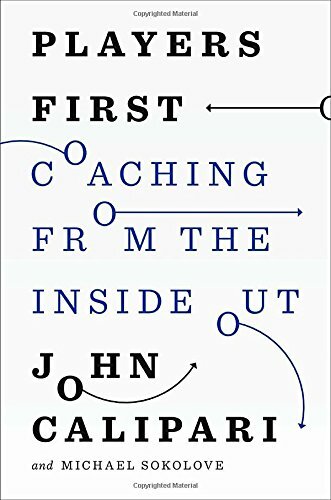 Players First: Coaching from the Inside Out covers John Calipari's first four years at Kentucky and the struggles of coaching a brand new team of 18-year-old players each season. 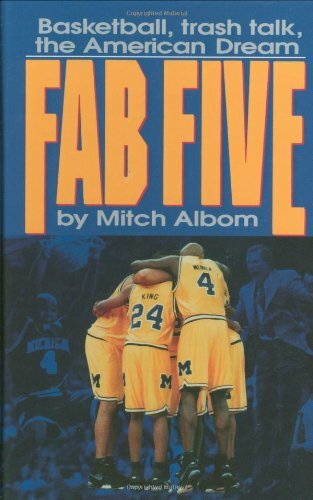 About This Basketball Book: The Fab Five is one of college basketball's greatest stories with five freshmen leading their team to the national championship game. When you mix in the off-court findings, and the allegations of recruit tampering, the story gets even more interesting. This book is going to breakdown this epic run and the full story of the Fab Five of Michigan. 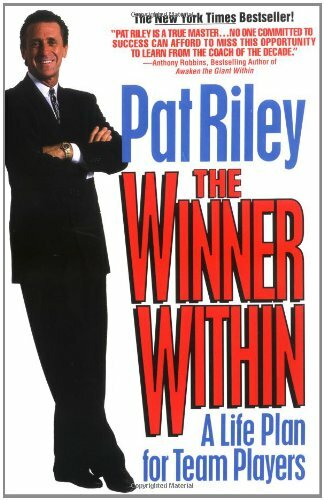 About This Basketball Book: Pat Riley is one of the most winning basketball coaches ever to coach the game. His book about winning from within is designed to help you be successful both in basketball and life. If you enjoy coaching books that are designed to challenge you and empower you to do more with your life, The Winner Within is going to be an excellent option. About This Basketball Book: If you win ten national college basketball championships, you deserve to have more than one book listed in the top 25 basketball books. This specific John Wooden book is going to focus on creating a winning organization and the importance of being a great person in life. If you know anything about John Wooden, you know that as much as he was a great coach, he was a better person. This coaching book on leadership is going to highlight who John Wooden was and how you can better emulate his character and coaching. 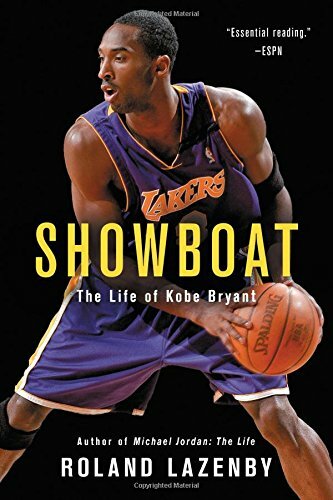 About This Basketball Book: Kobe Bryant is one of the most captivating sports figures of his generation. His work ethic alone is worth a book. Add in the success that he has had on the court and some of the off the court issues during his career, and you have a gold mine for a book. If you enjoy player biographies, this is one of the better ones to read. 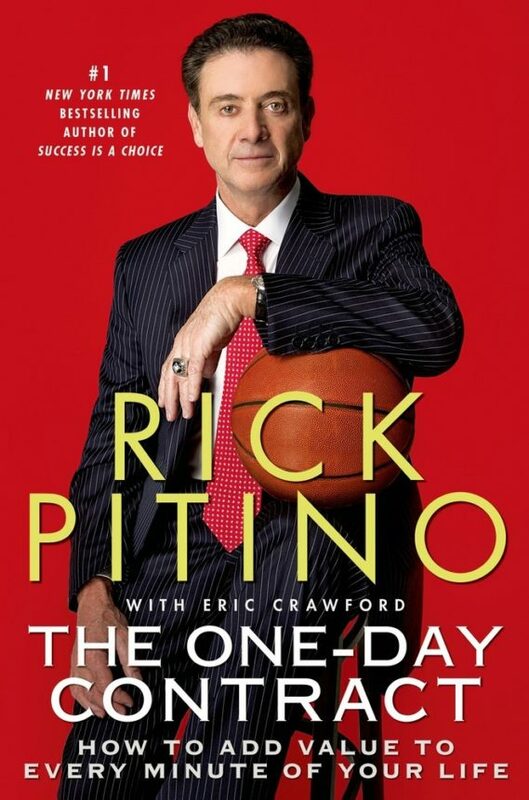 About This Basketball Book: The One Day Contract: How to Add Value to Every Minute of Your Life was written by hall of fame coach Rick Pitino, and it is not only going to focus on basketball-specific concepts, but also what it takes to have a successful life. You will be challenged to live every day as a one-day contract. This means waking up with a pursuit to be better and a pursuit to chase your dreams. So if you want to be challenged and pushed towards living your best life, give this basketball book a try. About This Basketball Book: Leading with the Heart was written in 2001, but the teaching still applies today when it comes to coaching and living a successful life. This book is going to cover topics like; leadership, communication, dealing with pride, and the importance of trust. 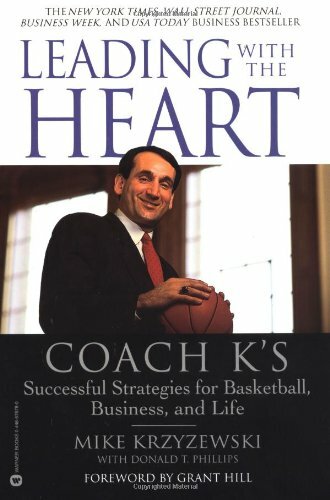 With Coach K arguably being the best college basketball coach of all time, it is going to be easy for you to buy into this book and the gameplan that he lays out for being successful in basketball, business, and life. About This Basketball Book: Idan Ravin has worked with players like; Chris Paul, Kevin Durant, LeBron James, and many other high-level players. The Hoops Whisperer is going to breakdown some of the drills and techniques that he uses with these elite level players. 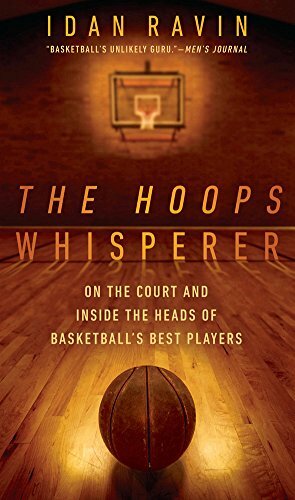 If you are a basketball trainer, this book is a must-read. However, even if you aren't a trainer though, this is still an interesting ready that will have you appreciating Idan Ravin's skill as a trainer. 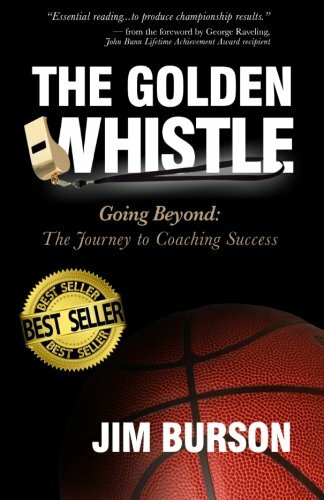 About This Basketball Book: The coaches that have endorsed The Golden Whistle are; Coach K, George Raveling, and John Calipari. The book is going to cover ten different learning opportunities that a young coach finds himself confronted with. You will not only find truths to help you become a better coach, but also a better person as well. And, whether you are a young coach or not, this coaching book is still going to be an excellent read for all basketball fans. About This Basketball Book: Stuff Basketball Players Should Know is a must for every player that is serious about their game. The book breaks down the different concepts that basketball players should know into bite-sized pieces. This is going to make it easy to understand and apply for players of all different levels. 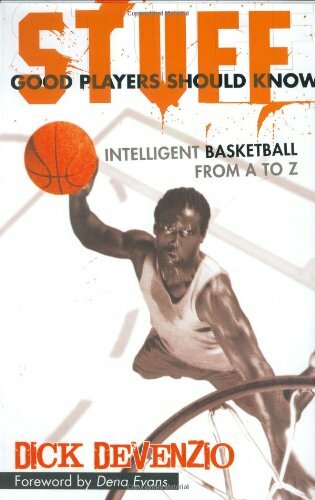 So if you are a basketball player, this is going to be a must read book. Also, if you have a young basketball player in your life, this would make an excellent gift. About This Basketball Book: "We are either winning, or we are learning" is a pretty common phrase that coaches use. If you are learning from your loses you really can never lose in the grand scheme of things. 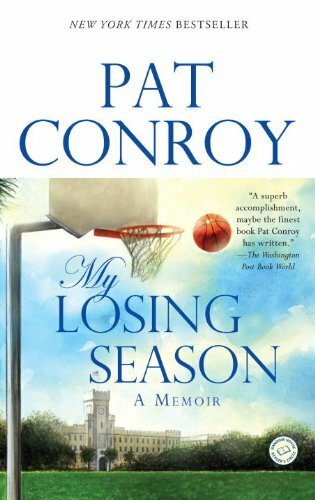 My Losing Season is going to cover the lessons that Pat Conroy learned when he played college basketball at the Citadel. In the book, Pat will cover all of the different lessons that he learned through his losing season. The book is well written and would be a good read for any basketball coach or fan of the game. 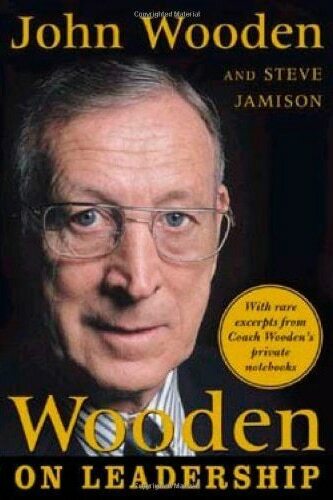 About This Basketball Book: This is the third and final John Wooden book, and it is just as good as the other two. Practical Modern Basketball is going to cover philosophy, skill development, and a ton of other coaching keys. 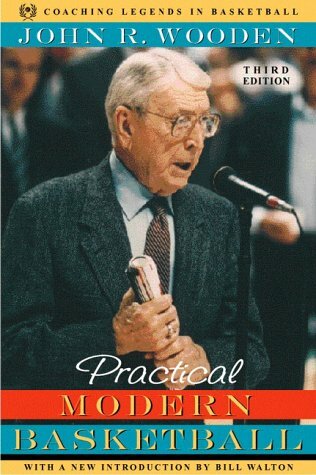 So if you are more into the strategies and philosophy of John Wooden, this is going to be the book for you. You will be able to get a peek behind the curtain and see some of the keys that helped John Wooden win 10 NCAA National Championships. 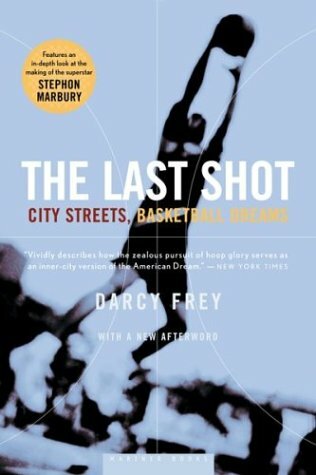 About This Basketball Book: The Last Shot is going to cover the story of an up and coming basketball player from NYC. It will give you a glimpse into the culture of New York City basketball, and allow you to be a part of one player's journey. If you are fascinated by New York City streetball (who isn't?) then this book is a must-read. It will open the door to a whole new brand of basketball and a culture that is just as unique. This list had to cap at some point, but that doesn't mean that there aren't more than 25 great basketball books out there. So if there is a basketball book that you think others would appreciate, we would love to hear about it in the comments below. Also, here are some other basketball books that deserve an honorable mention for this list and are excellent reads. This list is a sad joke and most of the books nothing much — self-centered self-help, vanity works, glorified quickie biographies, and so forth. Off the top of my head, in no particular order, here’s a list of excellent books about basketball: Loose Balls (Terry Pluto), Tall Tales (Terry Pluto), Foul! (David Wolf), The City Game (Pete Axthelm), A Season on the Brink (John Feinstein), The Book of Basketball (Bill Simmons), Go Up for Glory (Bill Russell), Second Wind (Bill Russell), Miracle on 33rd Street (Phil Berger), Confessions of A Basketball Gypsy (Rick Barry, Bill Libby), The Breaks of the Game (David Halberstam), Love in the NBA (Stan Love, Bob Rapoport), The Short Season (Bob Powers), The Complete Handbook of Pro Basketball (app. twenty-four versions, 1975-1999) (Xander Hollander), The Complete Handbook of Pro Basketball (two or three versions, early seventies) (Jim O’Brien), Caught in the Pivot (Tom Meschery), Life on the Run (Bill Bradley), Maverick: More Than A Game (Phil Jackson, Charles Rosen). Of course, I’ll think of more I love the instant I post this.